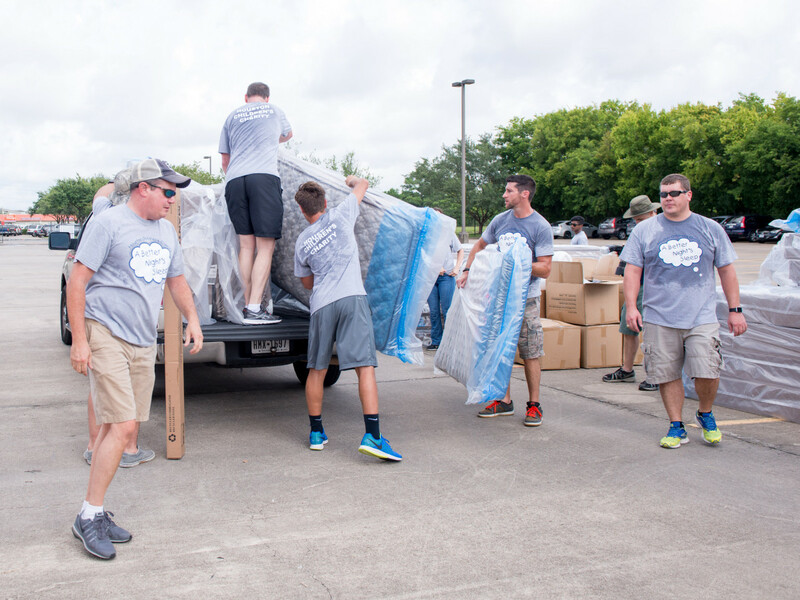 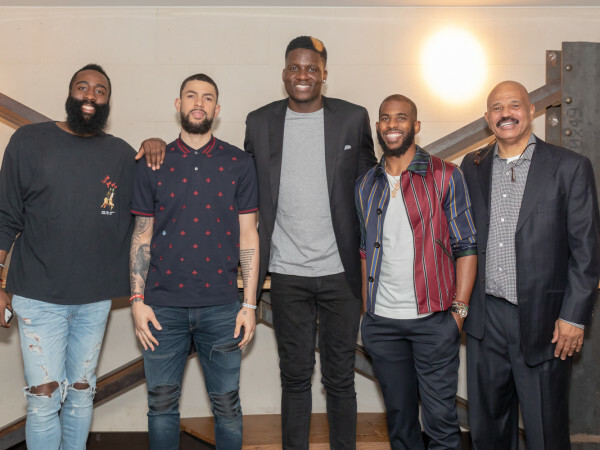 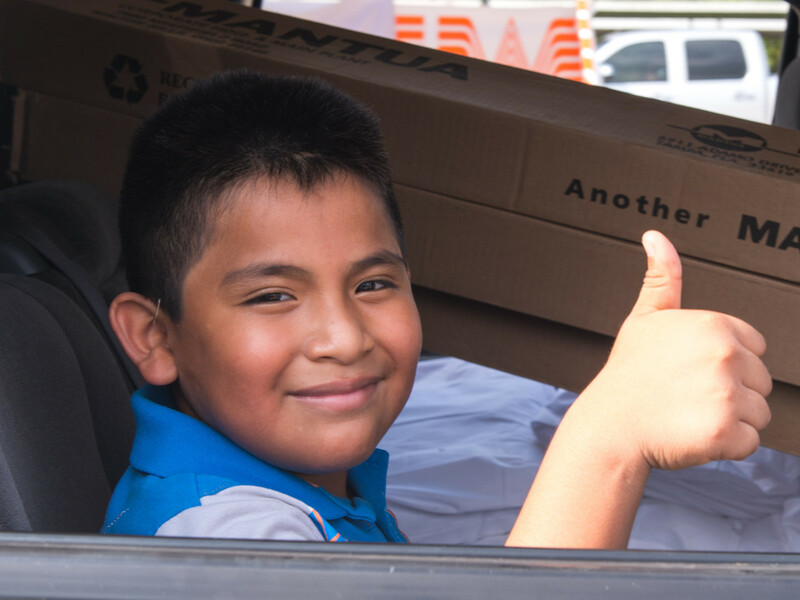 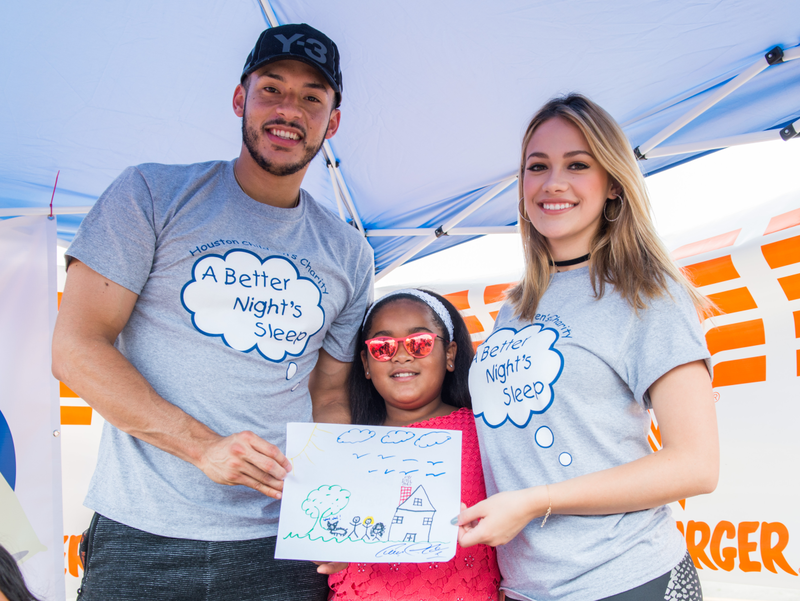 Just in time for the new school year, several children across Houston will be able to get a good night’s sleep thanks to Mattress Firm, Houston Astros star shortstop Carlos Correa, and Houston Children’s Charity (HCC). 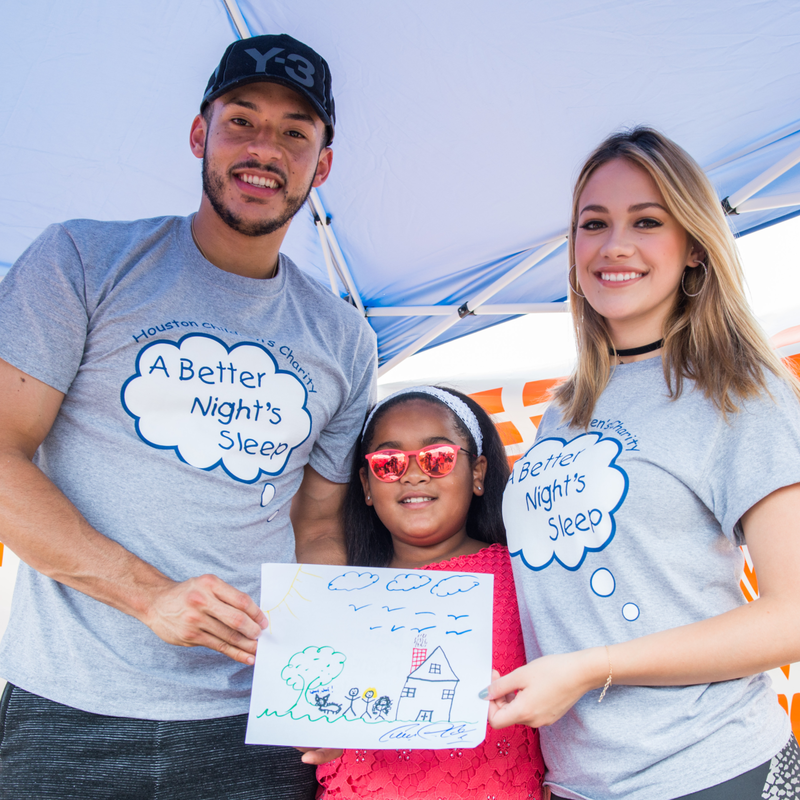 Two hundred beds were donated to local area in-need kids as part of the HCC's “A Better Night’s Sleep” program. 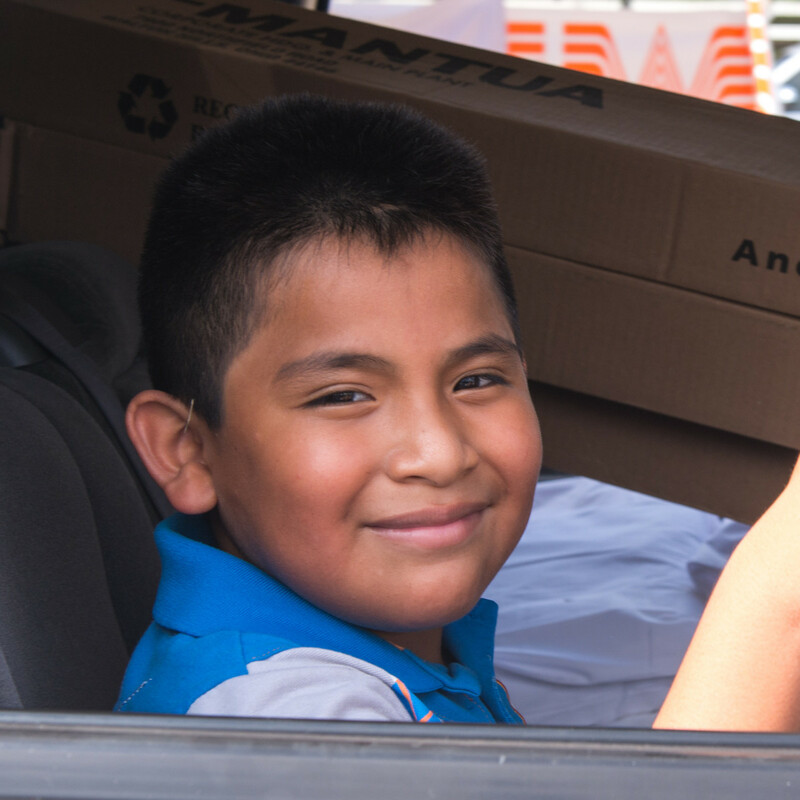 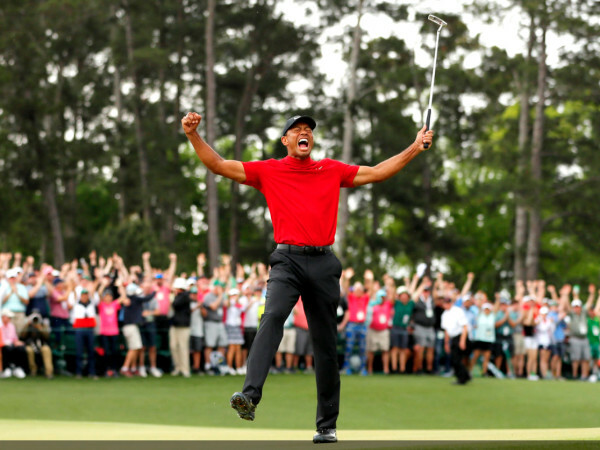 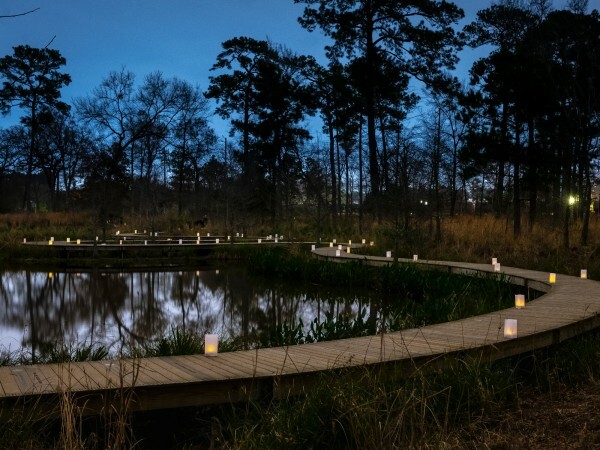 Founded in 1996, the nonprofit is dedicated to improving the quality of life for Greater Houston’s underprivileged, abused, and disabled children. 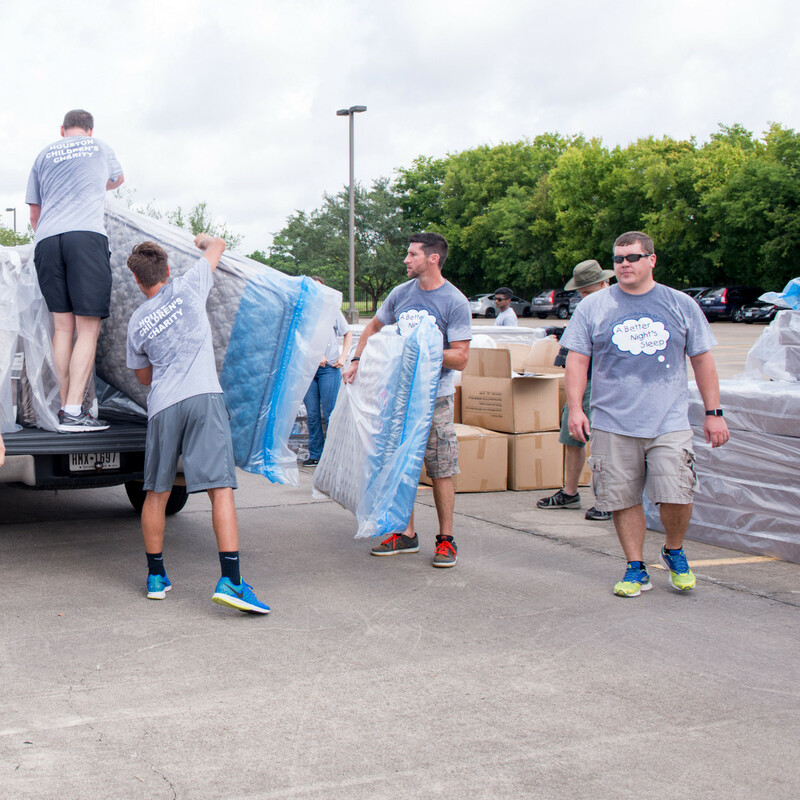 To date, the program has provided over 11,000 beds, plus sheets, pillows, and blankets. 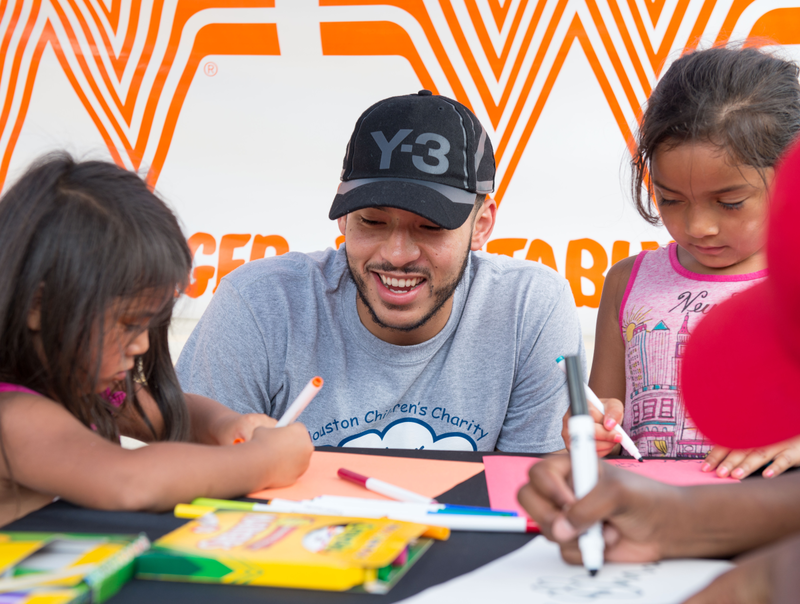 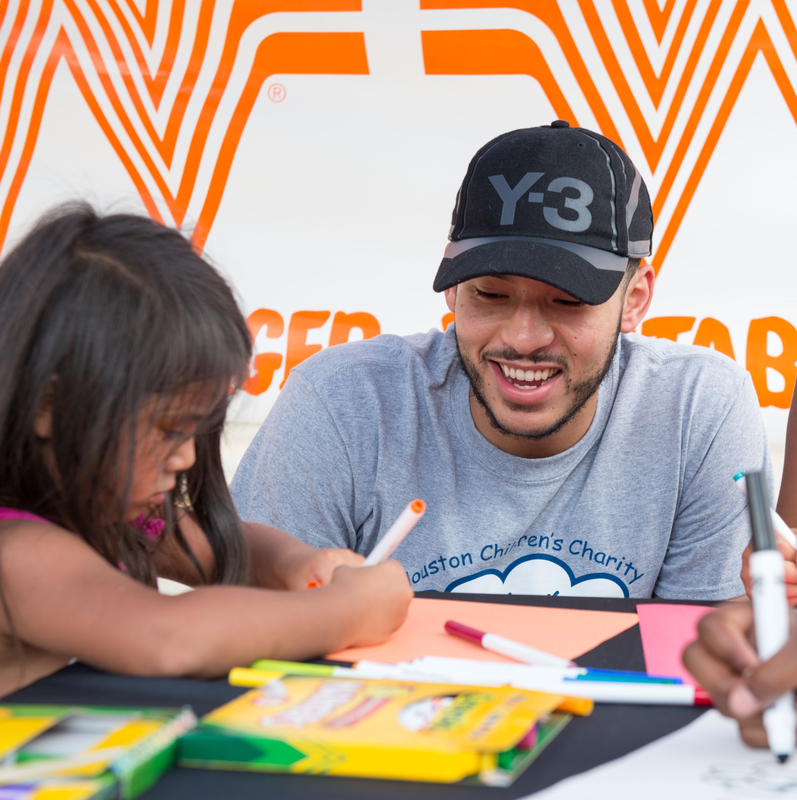 Breakfast fare from Whataburger kept everyone fueled as 25 volunteers gathered at Mattress Firm's Corporate Headquarters, working tirelessly for three hours in the summer heat. 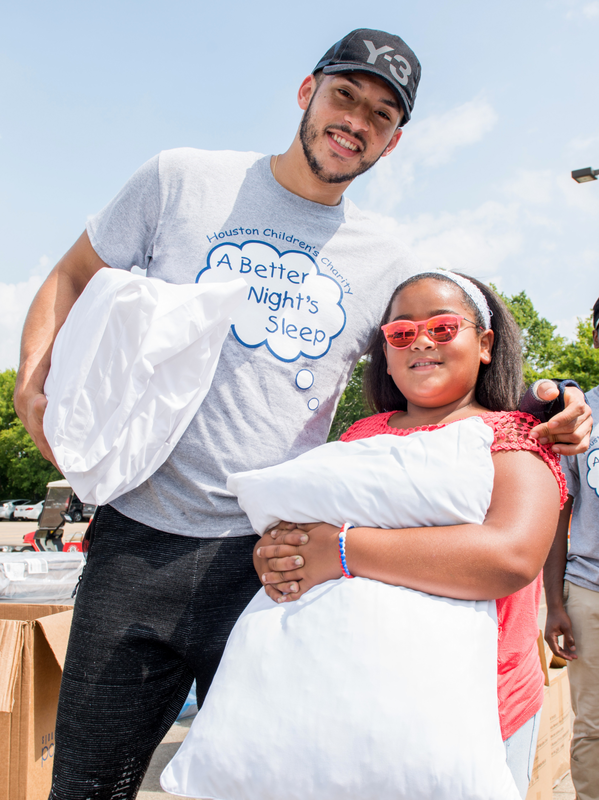 Correa, who is currently out of the Astros lineup with a torn thumb ligament, helped load pillows and sheets into cars. 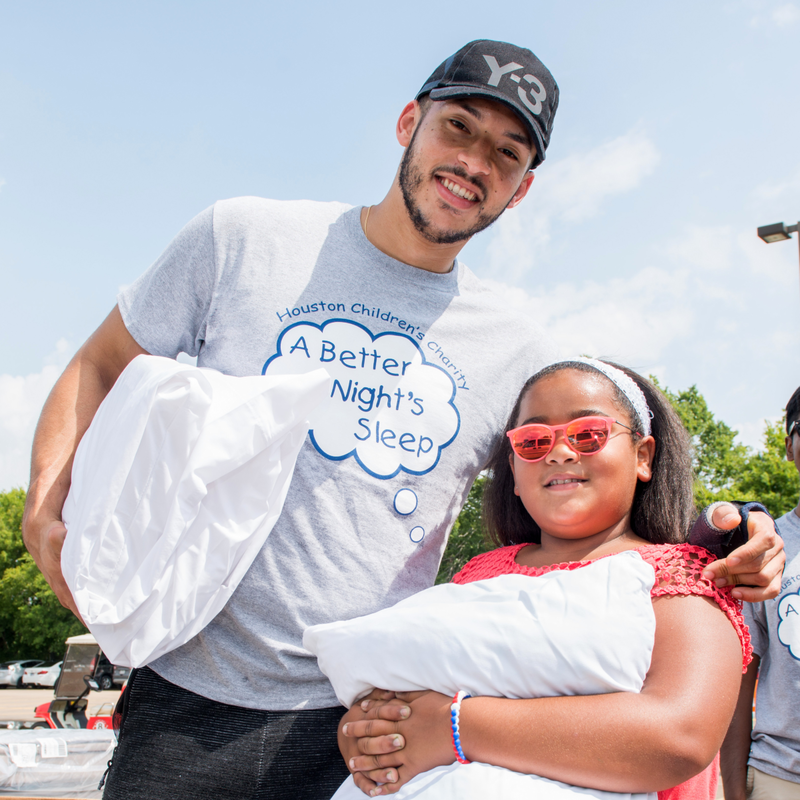 The All-Star also posed for selfies with volunteers and attendees, and spent time with the children as they waited to receive beds.